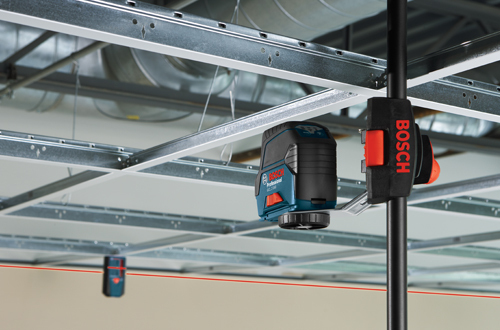 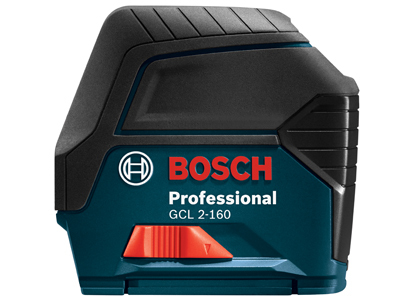 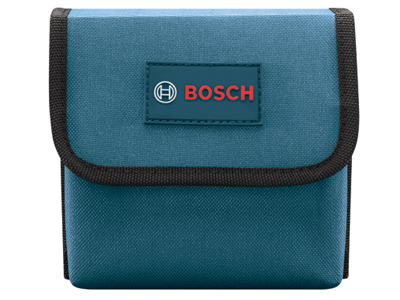 The Bosch GCL 2-160 Self-Leveling Cross-Line Laser with Plumb Points package delivers a laser with all-in-one versatility, providing highly visible lines and points that can be turned on independently or together for horizontal level, vertical level and plumb transfer applications. 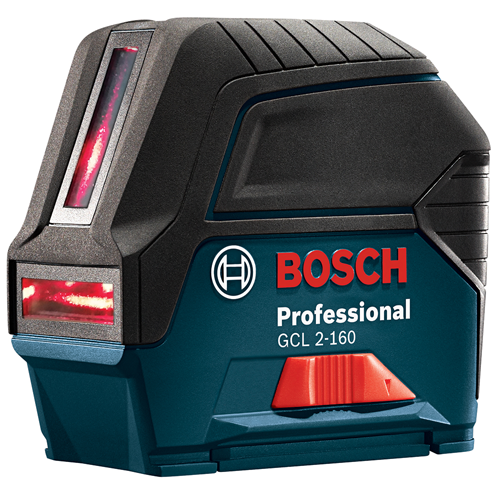 This laser has a visible range of 65 Ft. 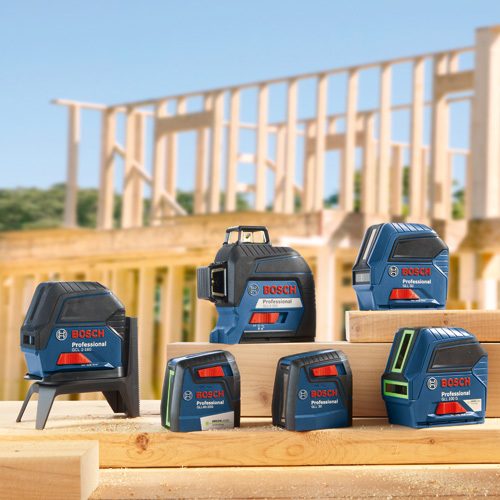 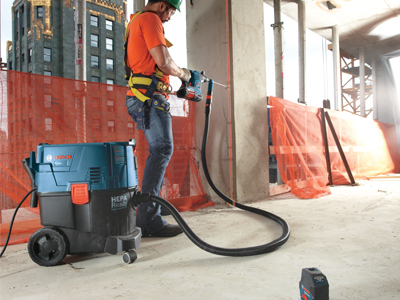 The receiver mode allows it to work with an optional Bosch laser receiver (LR 6 or LR 7) for a working range of up to 165 Ft. 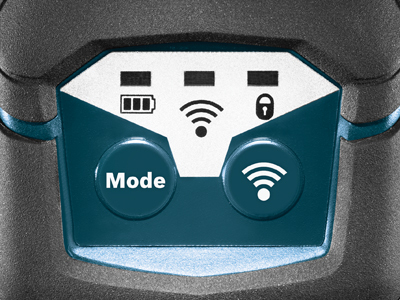 It features VisiMax™ Technology, which monitors power consumption to maximize line visibility and extend battery life. 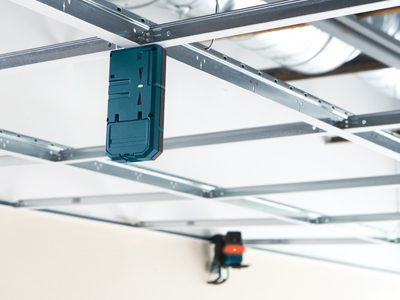 The Smart Pendulum System self-levels with an accuracy of up to ±4°, and it indicates out-of-level condition. 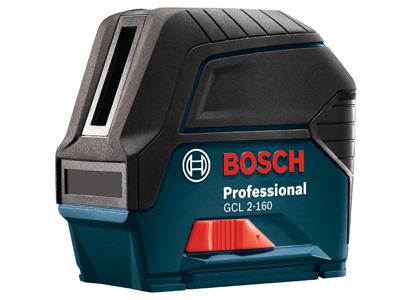 The manual mode locks lines for use at any angle. 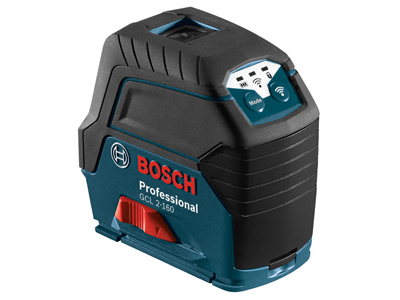 Robust over-molded construction – IP54 ensures splash water/dust protection for years of dependable operation. 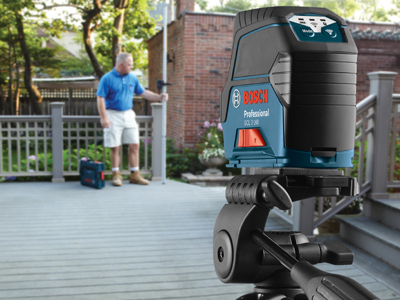 It comes with the RM 2 Magnetic Rotating Mount with Fine Adjust that rotates 360° by the precision of a fine adjustment knob. 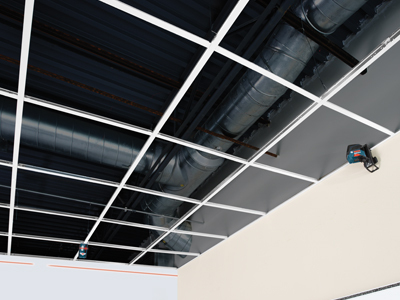 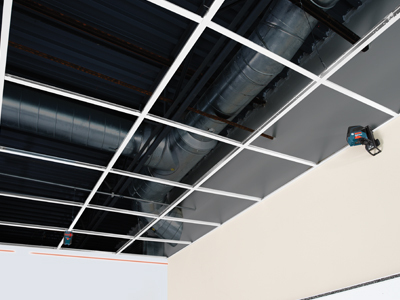 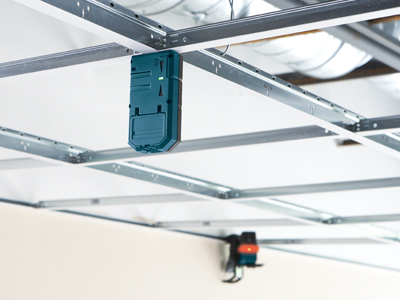 This kit includes a ceiling clamp for use in ceiling-grid applications.